AN GARDA SÍOCHÁNA have been given new powers to test drivers for drugs at the roadside. This is one of a number of measures included in the Road Traffic Bill 2016, which was passed by the Oireachtas today. The bill contains a series of reforms dealing with drug driving; written-off vehicles; mutual recognition of driver disqualifications between Ireland and the UK; uninsured drivers; and a new optional 20km/h speed limit in built-up areas, among other measures. Current provisions for Mandatory Alcohol Testing (MAT) checkpoints will be extended to provide for Mandatory Intoxication Testing (MIT) checkpoints testing drivers for both alcohol and drugs. “Drivers taking opiates and benzodiazepines prescribed by their doctors, [who are taking these prescribed drugs in accordance with their prescriptions, and are not impaired], have nothing to fear from the new measures. However, drivers abusing drugs such as cannabis, cocaine, benzodiazepines and opiate and driving while impaired will face a minimum disqualification of four years for their first offence and six years for their second and subsequent offence. A new offence of driving or being in charge of a mechanically propelled vehicle with the presence of three illicit drugs (cannabis, cocaine and heroin) has also been introduced. This means that for the first time drivers found above new legal thresholds for these drugs will commit an offence without An Garda Síochána having to prove impairment, as is currently the case under existing legislation. In seeking to address concerns of those prescribed Sativex (which contains cannabis) for illnesses such as multiple sclerosis, Ross introduced in the bill a medical exemption certificate for those prescribed with Sativex so that they do not fall under the new offence. This will ensure that they cannot be arrested for driving with cannabis in their system. He warned, however, that if such drivers are impaired, they face the same sanctions as other drivers under existing drug driving legislation. This means all insurers will be statutorily required to notify the Department of Transport of category A (irreparable and fit for scrap only) and category B (useful for viable spare parts only) write-offs so that these vehicles’ records can be included on the National Vehicle and Driver File and their circulation prevented. The bill will give effect to an agreement with the UK on mutual recognition of driver disqualifications which was signed in October 2015. If a driver is disqualified in the UK they are automatically barred from driving abroad, as they do not have a valid licence. However, if a driver from the UK is disqualified from driving in Ireland, the ban applies only in this country. The person could still drive in UK or anywhere else. Ross said the new agreement between Ireland and the UK will “ensure that dangerous drivers who are a risk to the public are kept off the roads in both jurisdictions”. The bill also creates a new option for local authorities to impose a special speed limit of 20km/h in built-up areas. This will be in addition to the existing possible speed limits for built-up areas of 50km/h, 40km/h and 30km/h. The minister added that the new speed limit option has been introduced following the Jake’s Legacy campaign. “This was set up following the tragic death of six-year-old Jake Brennan who was killed in a road traffic incident in the housing estate where he lived. A new special speed limit of 20km/hour is now being made available for local authorities to impose where they see fit,” Ross said. Ross said the increasing number of uninsured drivers on Irish roads “is a huge concern”. One of the issues identified to tackle this problem has been the Garda Automatic Number Plate Recognition (ANPR) system which is reliant on information provided by the insurance industry in respect of insured drivers. While this data set has proven to be unreliable to date, the department said the bill “provides for detailed information that the insurance industry must now provide which will address this exact issue”. “This is a very vital provision which will allow for the establishment of the Insured and Uninsured Database by Insurance Ireland and MIBI which will provide reliable data to An Garda Síochána to enable them to detect uninsured drivers and take them off our roads,” Ross said. More information on the bill can be read here. Email “Gardaí given new powers to test drivers for drugs at roadside ”. 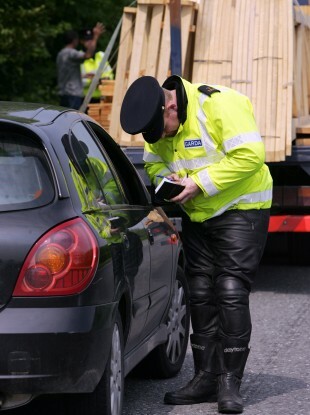 Feedback on “Gardaí given new powers to test drivers for drugs at roadside ”.